As far as I’m concerned, science fiction romance movies are rare. And I’m thinking of science fiction movies that don’t just feature the token love interest. I have a rather difficult time thinking of movies that fit the bill at the top of my head, that go beyond simply the heavily explored concept of time travel. But of course, I’m here to tell you that “Her” challenges all of that. 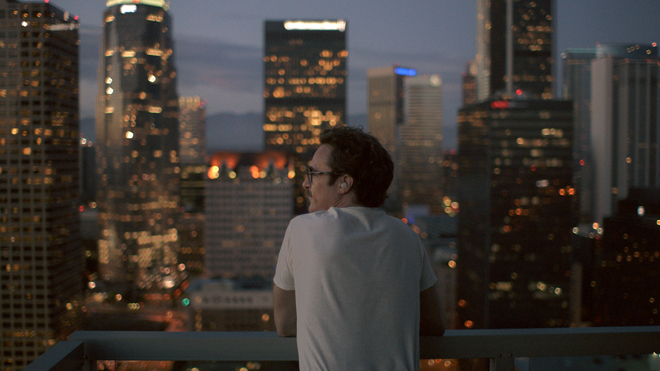 “Her” may be one of those few gems that present themselves as a legitimate romantic film, placing science fiction as the backdrop to this mainly emotionally-driven film. When I first saw the trailer to “Her”, which was written, directed, and produced by Spike Jonze, I had my reserves about how it would turn out. It just seems that with such an interesting mix of science fiction and romance, it would so easily become flawed by plot holes or ridiculous love interests in the larger scope of the entire movie. This movie, while not in the least a shining example of a movie showcasing scientific accuracies, is thoughtful in more ways than one. Ah, but before I get into my thoughts about the film I thought I should briefly go over what the movie is all about. 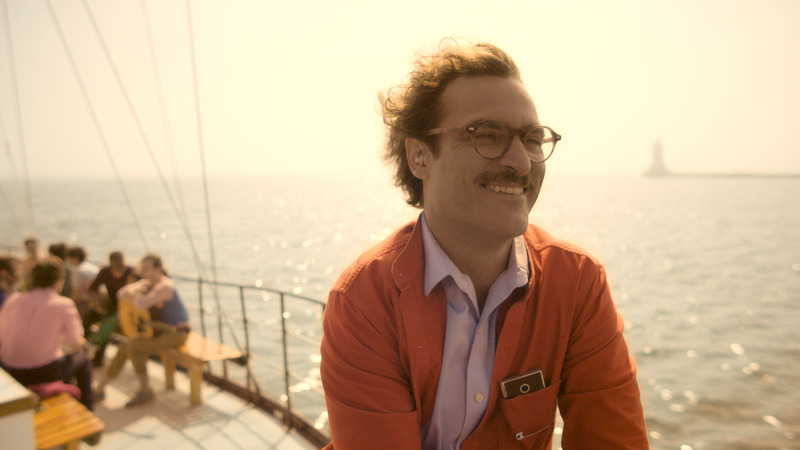 In brief, “Her” takes place in the future, revolving around a sad and lonely man named Theodore Twombly (Joaquin Phoenix) who is struggling to get back up on his feet after a bad breakup. One fateful day, he decides to purchase a newly released operating system that has been released, boasting the capacity of artificial intelligence. After answering a few questions about himself, the OS takes on a rather seductive female voice (Scarlett Johansson) who over the span of the movie will evolve and adapt in response to her environment and experiences. Being true to the romantic aspect of this movie, you will also explore the romantic relationship that begins to form between Theodore and his OS, named Samantha. I liked this movie quite a bit, and I’m not quite sure where to begin. Perhaps, let us get out of the way any potential issues I may have found with the movie. Obviously, with this being a science fiction movie, you have to take what you are given at face value. Sometimes I found the artificial intelligence a bit silly, (why would an artificial intelligence waste all of its effort to understanding love? ), but really, this movie should be watched with an open mind. The point is obviously not to try to get future artificial intelligence as spot-on as possible, but rather, takes time to shed light on overarching philosophical questions such as “what defines a relationship?” and “what boundaries exist with respective to love?” and “are there limits to who or what we can become in love with?”. All that deep, thought-provoking stuff. I mean I’ll tell you right now that you’ll be disappointed if you expect the artificial intelligence to transform into something akin to Skynet, straight out of the Terminator movies where it comes to declare war on the human race. That doesn’t happy, sorry. It’s better you know this now though so you don’t go into this film getting your hopes up. Aside from that, this movie is fairly heavy on the romance aspect. It really is a genuine romance movie, that keeps science fiction in the back seat where it certainly plays a role but is there mainly to foster the development and exploration of human (and computer) relationships. But wait, before you lose complete interest in this movie, I would like to go over its merits. The protagonist is deeply engaging. He has his flaws, which undoubtedly makes him more appealing. He’s rather self-absorbed, emotionally insecure and searching hopefully for meaning in his life. In these ways this makes him likeable and you can sympathize with the emotions and dilemmas Theodore has. The supporting cast is also quite impressive, producing some rather meaningful conversations that highlighted some of the underlying themes of the film. In addition to this, the visuals and soundtrack are stunning. The movie is filmed beautifully, which makes it wonderful to watch. The soundtrack, mainly done by Arcade Fire, features ambient tunes that are quite fitting for the scenes and general atmosphere of the movie. Overall, I enjoyed this film. It had its weird moments, but I think in its own way this film can easily be related to by anyone. I could boil this movie down, taking away its science fiction elements and say that all this was really an exploration of loneliness and how we crave to find someone who can understand us, so we can be a little less lonely in this world. This movie was simple, it was sweet, it was pleasant. And that’s all I can really say. It’s one of my favorite movies of last year that had me laughing, crying and thinking about all the times in my life. Both good, and bad. It’s that type of movie. Good review.